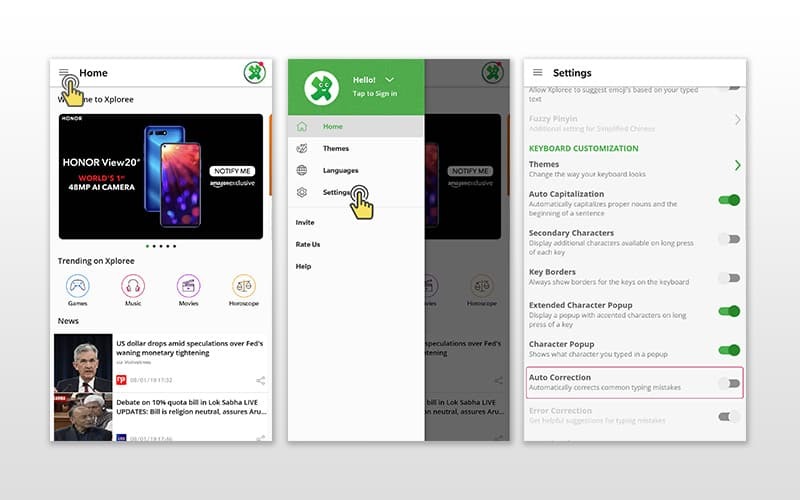 How to install the Xploree AI Keyboard app? 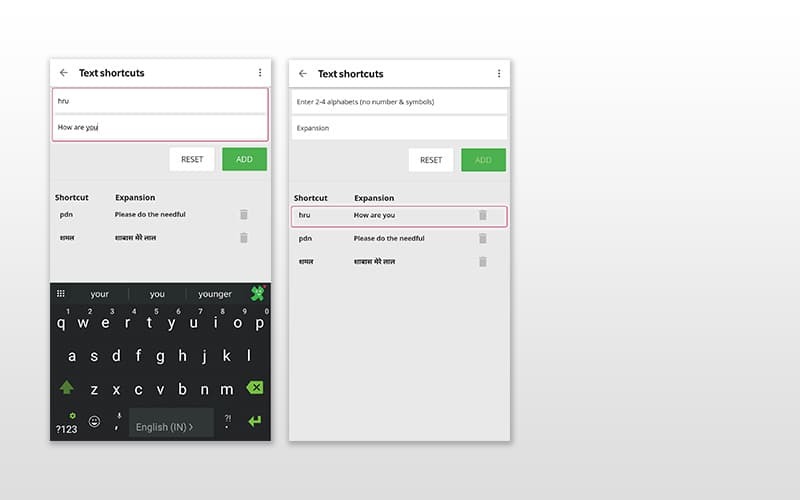 Type ‘Xploree AI Keyboard’ in the search bar on Google play store. Press the install button to install the keyboard app on your phone. How to change languages on Xploree AI Keyboard? To change ‘Language’ on your Xploree AI Keyboard, click on the Home button on the top left corner on the home screen. 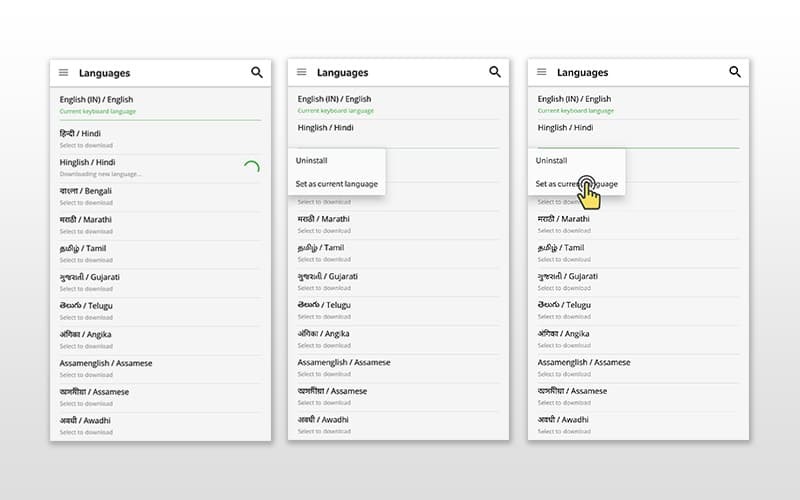 A list of all languages available on Xploree AI Keyboard will appear. 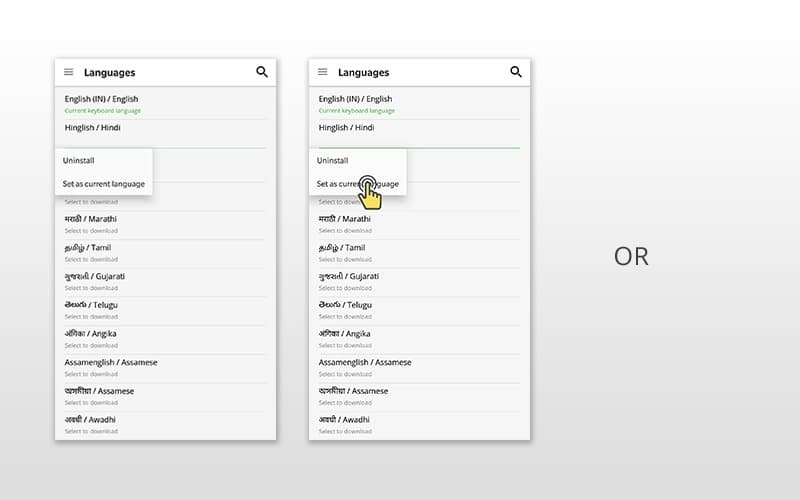 Once you click on the language of your choice, the language will then download and store on your Xploree keyboard. To use the downloaded language, select the ‘Set as current language’ option. The language of your choice is now available for use. In case you wish to ‘Uninstall’, click on uninstall to remove the language from your keyboard. 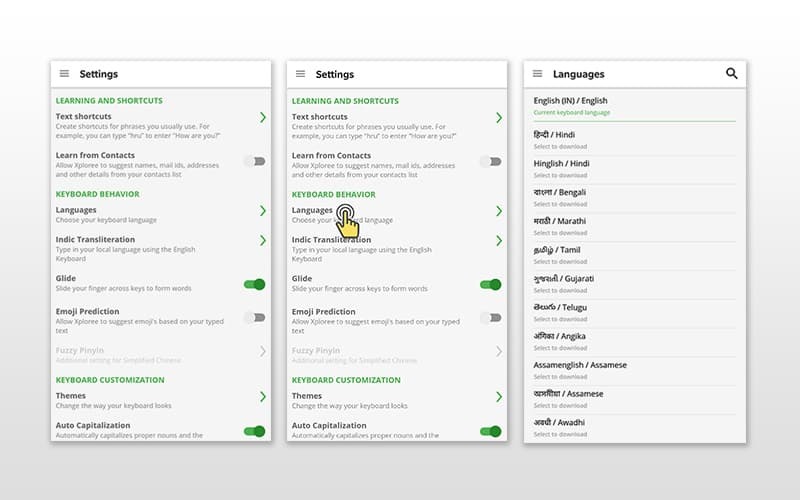 Once you click on the language of your choice the language will then download and store on your Xploree keyboard. How to enable the transliteration function? To enable the transliteration function, click on the Home button available on the top left of the home screen. 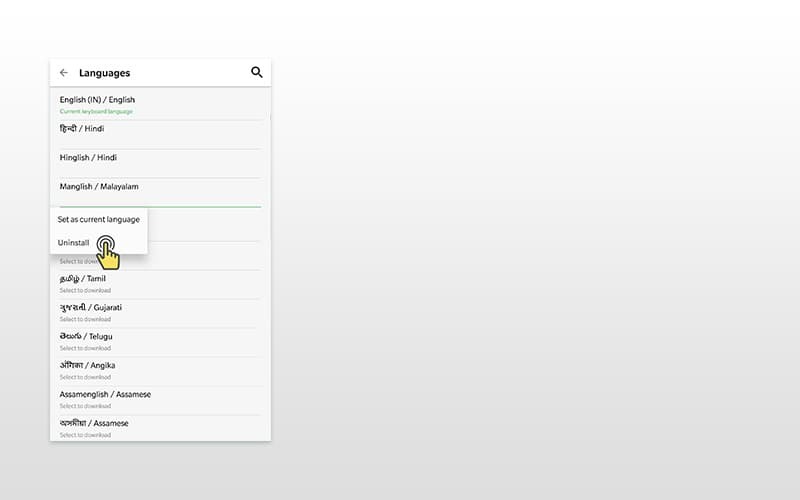 Click on ‘Settings’ available in the drop-down menu. 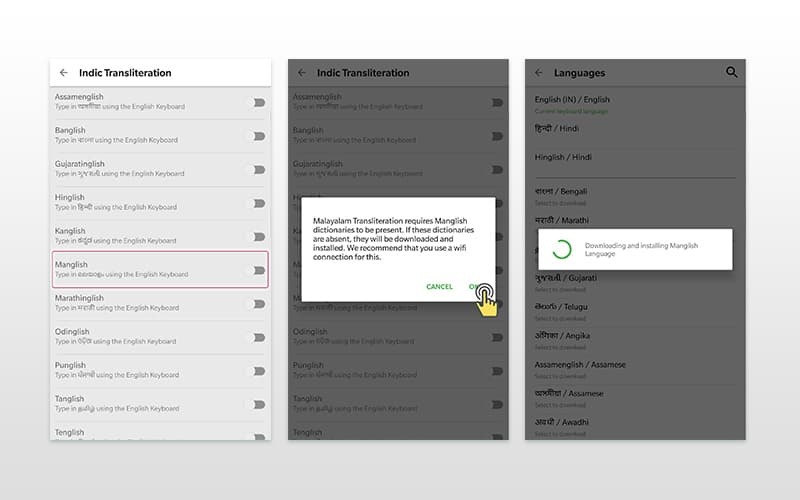 To enable a specific language for transliteration, swipe on the button aligned to the right of every language. Swiping the button to the right will initiate the download of the specific language dictionary if it is not already installed. The language of your choice is now available for transliteration. 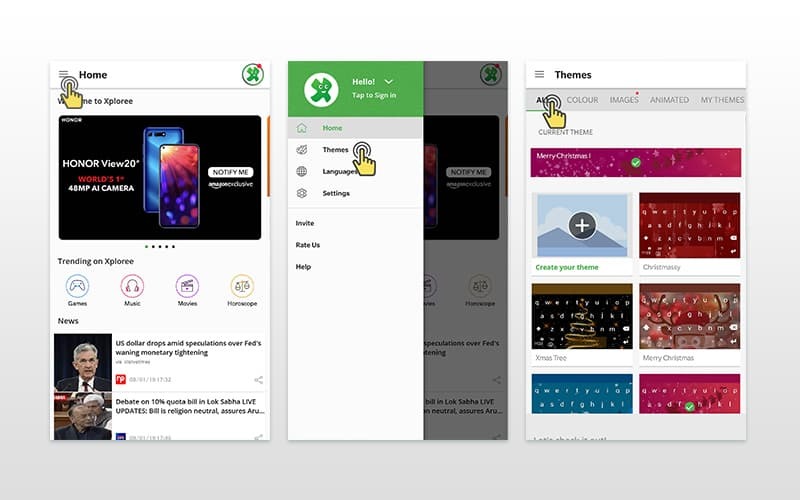 To select from the multitude of vibrant themes available on Xploree AI Keyboard, click on the Home button on the top left corner on the home screen. How to enable the auto correct feature? To enable ‘Auto Correct’ feature on your Xploree AI Keyboard, click on the Home button on the top left-hand side of the home screen. 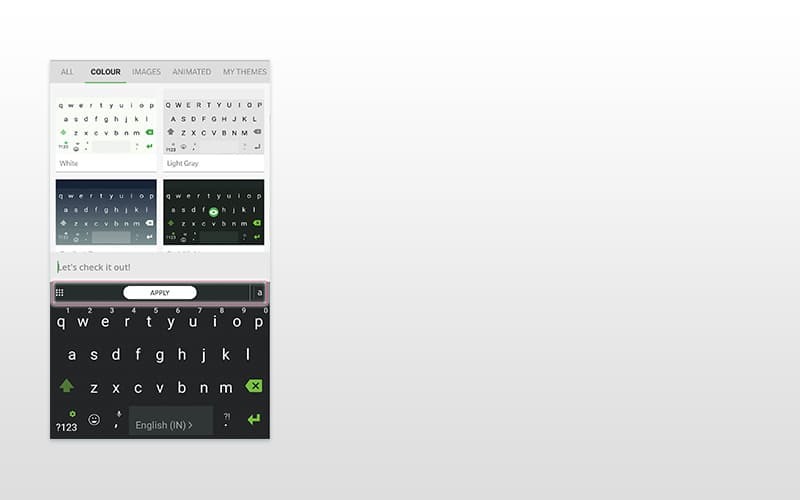 For enabling the auto correct feature go to the option titled ‘Keyboard Customization’. To enable the auto-correct feature swipe on the button aligned to the right of text. The button turns green indicating the auto-correct feature is enabled. How to enable ‘Text shortcuts’ on your Xploree AI Keyboard? Text Shortcuts: Create shortcuts for phrases you usually use. To enable ‘Text Shortcuts’ on your Xploree AI Keyboard, click on the Home button on the top left-hand side of the home screen. Use the page appearing on your screen to enter 2 or 4 alphabets as the short form of a sentence. The alphabet set, and the expanded form will appear in the bottom of the page. 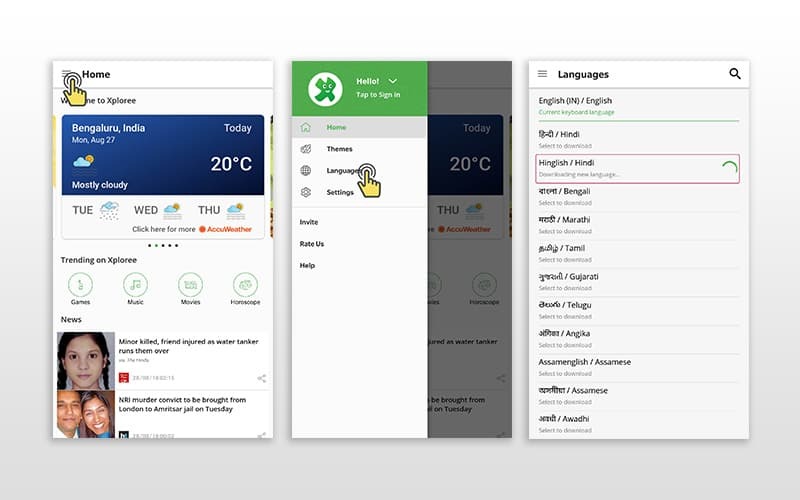 ‘Text Shortcuts’ can be added or listed in any of the languages available on Xploree. How to enable ‘Learn from contacts’ and how does it help? Learn from contacts: Allows xploree to suggest names, mail id’s, addresses and other details from your contact list. 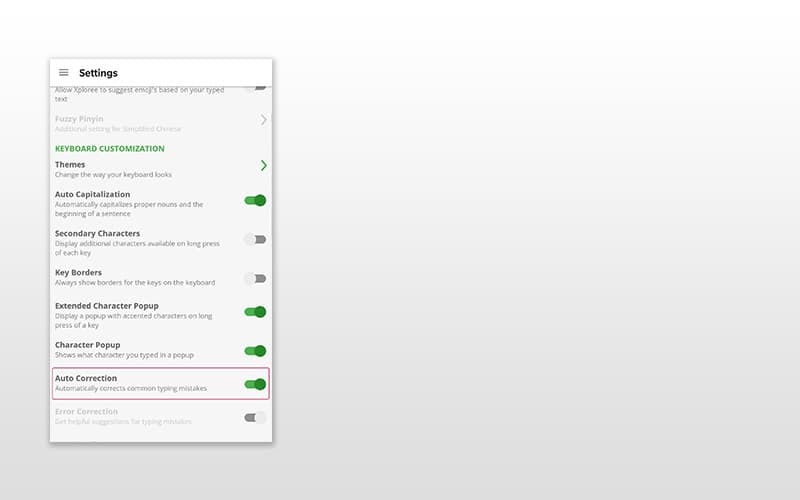 To enable, ‘Learn from contacts, on your Xploree AI Keyboard, click on the Home button on the top left-hand side of the home screen. To enable the ‘Learn from contacts’, feature swipe on the button aligned to the right of text. The button turns Green indicating the, ‘Learn from contacts’ feature is enabled. 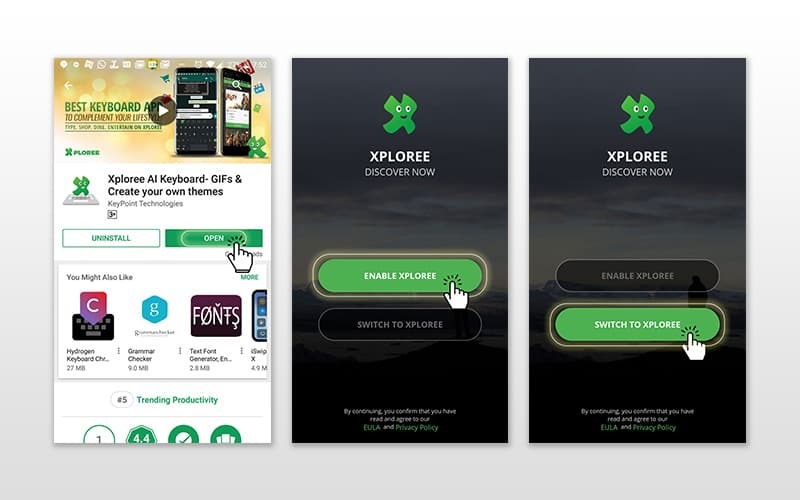 How to enable the ‘Glide’ feature on Xploree AI Keyboard? Glide: Slide your fingers across keys to form words. To enable the ‘Glide’, on your Xploree AI Keyboard, click on the Home button on the top left-hand side of the home screen. To enable the ‘Glide, feature swipe on the button aligned to the right of text. The button turns Green indicating the, ‘Glide’ feature is enabled. How to enable transliteration function? How to enable 'Text shortcuts'? Does Xploreee suggest contacts? How to enable it? How to enable the 'Glide' feature?